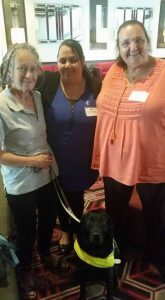 On Friday 2 December 2016, NSW Manager Dianne Brookes and WA coordinator, Wendy Wright attended an International Day of People with Disability event at Crown Casino, Perth. The Hon. Donna Faragher, Minister for Planning; Disability services made an announcement regarding the National Disability Insurance Scheme (NDIS) in Western Australia. The Minister’s statement regarding the announcement is available online.